Netball is the number 1 non-contct team based sport in Australia for women Netball is the 5th most popular sporting activity outside of school hours in Australia 38% of ACL injuries in women were sustained in netball (AIHW, 2013, p. 11) Estimates sugest 73% of ACL reconstructions in Australia are result of sporting activities Females are approximately 2 - 8 times more likely to suffer an ACL injury (Toth, & Cordasco, 2001) 20% of meniscal injuries in women were associated with netball (AIHW, 2013, pg. 15) Sports related knee injury hospitalisations peak between 15-24 yrs of age (AIHW, 2013, p. 10) 93% of ACL injuries in Australia are treated with reconstruction (AIHW, 2013, p. 11) The statistics are daunting and unfortunately many of these ACL injuries are a result of an external force (another player etc...) pushing the knee in to an unnatural position. The good news is that many of these ACL injuries are from modifiable factors such as poor lower limb mechanics, particularly when landing or changing direction. With appropriate education and training strategies the risk factors for this nasty injury can be greatly reduced. These four ligaments play a major role in supporting the knee joint as it goes through movement. The stiffness, length and thickness of these ligaments vary between people but also between genders. It has been found that the ACL is geometrically smaller in women, can be influenced by hormones (particularly in the pre-ovulatory phase of the mensutral cycle), and is at a higher risk of injury due to lower limb alignment (wider female pelvis) as stated by Tandoğan, Mann & Verdonk (2011). WHAT ARE THE COSTS OF ACL SURGERIES? ACL reconstruction is a substantial contributor to Australian healthcare costs. Janssen, Orchard, Driscoll, & Van Mechelen (2012) report direct costs are estimated at over $75 million per year. When factoring in rehabilitation, disability and time away from work, the estimates exceed $100 million per year. In addition to these financial costs however, there are studies suggesting injury to your ACL (regardless of repair) can increase your risk of developing osteoarthritis in the knee. Spindler & Wright (2008) estimate that 50% people who sustained an ACL injury will devleop osteoarthritis within 10-20 years. Arden et al. (2011) report that 82% of ACL patients return to some form of sports participation following reconstructive surgery, however only 44% returned to competitive sport. As reported by Meredith Griffiths (ABC), the number of children undergoing ACL reconstructions has trippled in the past 15 years. The reason for such a sharp increase is unclear however it could be hypothesised that an increase in sports participation and improvements in medical technologies are important factors. WHAT CAN BE DONE TO STEM THE INJURY RATE? Though we may not be able to influence those injuries when a player lands on your knee awkwardly, nor are we recommending all netballers avoid enjoying sport in fear of injuring their ACL, there are screening programs available to help prevent the incidence of those akward knee movements that leave the ligament at risk. Studies have indicated that identifying neuromuscular imbalances, strength deficits, poor landing strategies, educating players and coaches, and implementing an appropriate prevention program can greatly reduce the incidence of injury. Mehl et al. (2017) concluded that screening, identification and corretion of dangerous movement patterns are the first step in preveniting knee and ACL injuries. Futher studies such as Lim et al. (2009) showed prevention training improved the biomechanics of female basketballers with regards to 'at risk' movements such as dynamic valgus. Though this study had a small sample size, the improvement in outcomes for the prevention group versus the control group further highlight the need for prevention strategies in sport. Various knee prevention programs such as the Fifa 11+ and the PEP program exist to help athletes reduce their risks of knee injury. 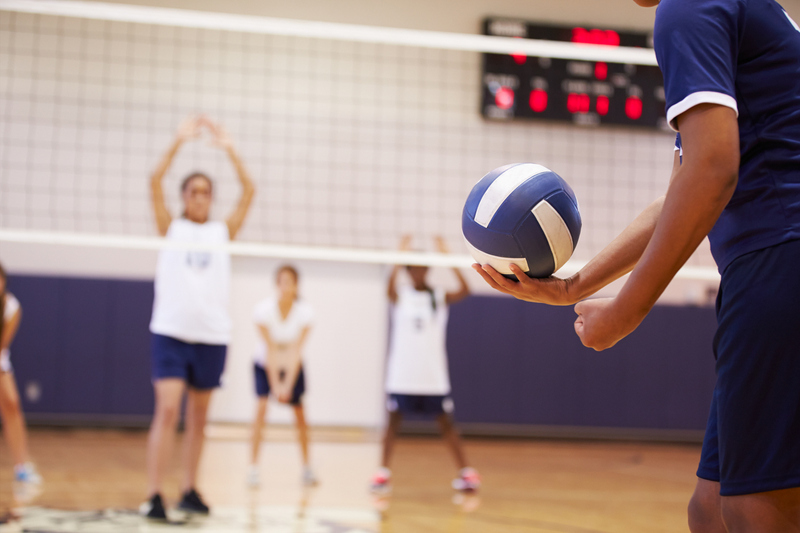 Netball Australia has developed its own knee prevention program called The Knee Program. Targeted specifically to netballers, this program provides players, coaches and parents an invaluable resource to improve take off, deceleration, landing and change of direction movements. Wth three player groups targeted (junior, recreational and elite), there is something available for players at all skill levels. WHAT IS RICHMOND REHAB DOING? We've seen an ever growning number of young sports participants coming to our physiotherapists to help with their recovery following reconstructive surgery. Though outcomes are typically positive following an appropriate rehabilitation, we'd love to reduce the number of injuries in the first place! That's why our team of physio's are trained in the risk factors of ACL injuries and run screening and education sessions for young athletes who participate in sport. As part of our efforts we are keen to speak with parents, teachers or coaches who are interested in learning more about injury prevention. Use the form below if you're interested in learning more about our programs or if you have any questions about your knees. AIHW: Kreisfeld R, Harrison JE, and Tovell A, 2017. Hospital care for Australian sports injury, 2012–13. Injury research and statistics series no. 105. Cat. no. INJCAT 181. Canberra: AIHW. Alentorn-Geli, E., Myer, G. D., Silvers, H. J., Samitier, G., Romero, D., Lázaro-Haro, C., & Cugat, R. (2009). Prevention of non-contact anterior cruciate ligament injuries in soccer players. Part 2: a review of prevention programs aimed to modify risk factors and to reduce injury rates. Knee Surgery, Sports Traumatology, Arthroscopy, 17(8), 859-879. Ardern, C. L., Webster, K. E., Taylor, N. F., & Feller, J. A. (2011). Return to sport following anterior cruciate ligament reconstruction surgery: a systematic review and meta-analysis of the state of play. Br J Sports Med, 45(7), 596-606. Harris, K. P., Driban, J. B., Sitler, M. R., Cattano, N. M., Balasubramanian, E., & Hootman, J. M. (2017). Tibiofemoral osteoarthritis after surgical or nonsurgical treatment of anterior cruciate ligament rupture: a systematic review. Journal of athletic training, 52(6), 507-517. Janssen, K., Orchard, J., Driscoll, T., & Van Mechelen, W. (2012). High incidence and costs for anterior cruciate ligament reconstructions performed in Australia from 2003-2004 to 2007-2008: Time for an anterior cruciate ligament register by Scandinavian model? Scandinavian Journal of Medicine & Science in Sports., 22(4), 495-501. Spindler, K. P., & Wright, R. W. (2008). Anterior cruciate ligament tear. New England Journal of Medicine, 359(20), 2135-2142. Tandoğan, R. N., Mann, G., & Verdonk, R. (2011). Sports injuries: prevention, diagnosis, treatment and rehabilitation. Springer Science & Business Media. Toth, A. P., & Cordasco, F. A. (2001). Anterior cruciate ligament injuries in the female athlete. The journal of gender-specific medicine: JGSM: the official journal of the Partnership for Women's Health at Columbia, 4(4), 25-34.